Many of us are thinking about purchasing an external hard drive to store photos and important information and to transfer data from one piece of equipment to another. In order to make an informed decision, Recovery Labs´technicians, as experts in these types of devices, offer recommendations for choosing the best external hard drive. The first thing we should do is answer a few questions that will help us to determine the purpose of the external hard drive. This will allow us to choose a device that is suitable for our actual needs rather than choosing the hard drive that is on sale of the latest model with functionalities that we will probably never use. For example, how much capacity do we really need for the amount of data involved? Will we be moving the hard drive from one place to another or keeping it on the desktop? Do we want to share the data as part of a network or is it for our own personal use? Does the hard drive need to be especially fast? Do we want to be able to see the information on the hard drive on the TV? When choosing the best external hard drive we also need to consider this aspect. One of the characteristics on which we usually focus on is the capacity of the hard drive. Normally, we have the idea that ​​”bigger is better” or “better too much than too little”, but we should ask ourselves whether we really need a large capacity hard drive. Always thinking ahead, we are willing to pay more now for the highest capacity hard drive in the market just in case one day we need to store much more information. Given that the trend in the data storage market is characterised by a steady and progressive reduction in prices, it would be more advisable to opt for a more economical alternative if a hard drive with less capacity actually meets our current needs. To do this, we must be clear about what kind of data we will be storing on the device, since not all file formats take up the same amount of space. For example, images, video or database files take up much more space than text files. Another important issue in relation to capacity is how the information that will be stored on the device is organised. The most common tendency, when there is a lot of free space on the disk, is to store it all without selecting the content that is actually useful. Our obsession with keeping everything (sometimes dubbed the Digital Diogenes Syndrome) could actually be harmful. Having a hard drive with lots of unnecessary information slows the process of making backups, hampers the search for useful information, and in the event of a loss of data would make the information recovery process much more laborious and complex. The technicians’ advice: choose the right capacity for your actual needs. This will allow you to purchase a more affordable hard drive and will force you to organise the really important information more efficiently. If what we are looking for is a hard drive that is easy to move from one place to another in our laptop or notebook bag, the best hard drive is a 2.5″ (which are the ones most laptops have). These devices are powered and connected by USB, they are compact, lightweight and small in size, making them the perfect device for moving our data easily. Considering that moving or transporting the hard drive makes it more susceptible to blows or falls, many manufacturers have designed hard drive models with anti-skid housings or that are able to absorb vibrations caused by impacts. However, it is important to note that these types of cases as well as many other standard housings prevent the heat generated by the hard drive from dissipating, which makes the device less reliable. Therefore, our technicians recommend acquiring a 2.5” hard drive to facilitate mobility but they warn that it is not advisable to use these kinds of devices to make back-up copies, nor is it advisable to have them connected to the computer for long periods of time. However, if what we need is a hard drive that will be stationary for the most part and will be used to store our most valuable information, we might want to choose a 3.5” hard drive (which are the kind usually installed in desktop computers). These hard drives may offer various types of connectivity (USB, Red, Firewire) and come with their own power cables and transformer, i.e. they are not powered by the USB. In addition, most of the housings for these hard drives offer better ventilation to guarantee that the hard drive is properly cooled. If our main concern is to obtain the highest level of security for our data, the technicians recommend a computer with various 3.5” hard drives, in order to be able to duplicate the stored information, which will make it more likely that the information can be recovered should one of the disks fail. The only disadvantage of these types of devices is that they require slightly more advanced IT knowledge. Regardless of whether or not we will be moving the hard drive around, if our concern is the confidentiality of our information, the technicians suggest purchasing a hard drive with a data encryption system. There are many hard drives on the market that provide this functionality. Some of them, in addition to encrypting the information, require physical authentication such as the user’s fingerprint in order to access the data. As well as the capacity and the size or type of device, we must also look at the type of hard drive connection to ensure that it meets our requirements. 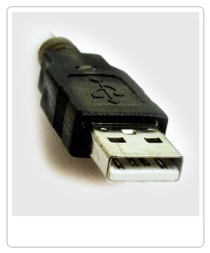 The most common connection is the USB port, since it is a common type of connection used with multiple computing devices. 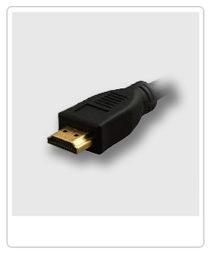 Among the various options, the fastest and most current USB connection is the 3.0. 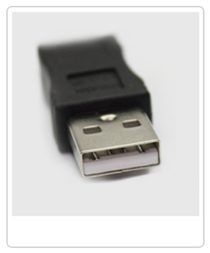 Therefore, for those who need to copy information quickly to an external hard drive, the technicians recommend choosing devices with this type of connection as long as the computer to which it is to be connected has a USB port. Otherwise, it will not make any difference whether or not the hard drive has a fast connection if the computer is not compatible with it. 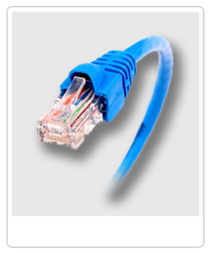 If we are interested in sharing information with other users, the technicians recommend purchasing a device that is network-enabled (either RJ-45 or cordless), in order to be able to access information from multiple computers. This type of hard drive is not too complex. All you need to do is connect the drive to the router and choose how you want to share the data. 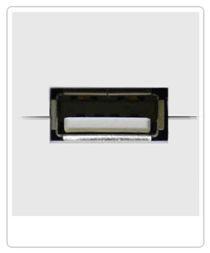 Another possibility is to choose a hard drive with Firewire or i.Link connectivity (IEEE 1394), which is a standard used in Apple and Sony brand devices. However, since USB connectivity is faster (the fastest FireWire offers speeds of 400 MB/sand the USB 3.0 offers speeds of 600 MB/s), this would only be advisable if you have a device that requires this type of connection. Finally, if in addition to storing data on the hard drive you are interested in using it to view video content, you will need a multimedia hard drive. 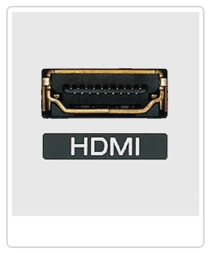 Such devices usually have USB connections for data writing and also to connect to your television, DVD, monitor or projector using various types of connections: from the newest, high-definition connection known as HDMI to the classic RCA or euroconnector.